Happy Monday lovelies! Today I'm sharing a hair post with some chic hair accessories. I recently received the cutest package from Fromm Beauty. They recently launched a line of hair accessories which is exclusively available at Ulta Beauty. 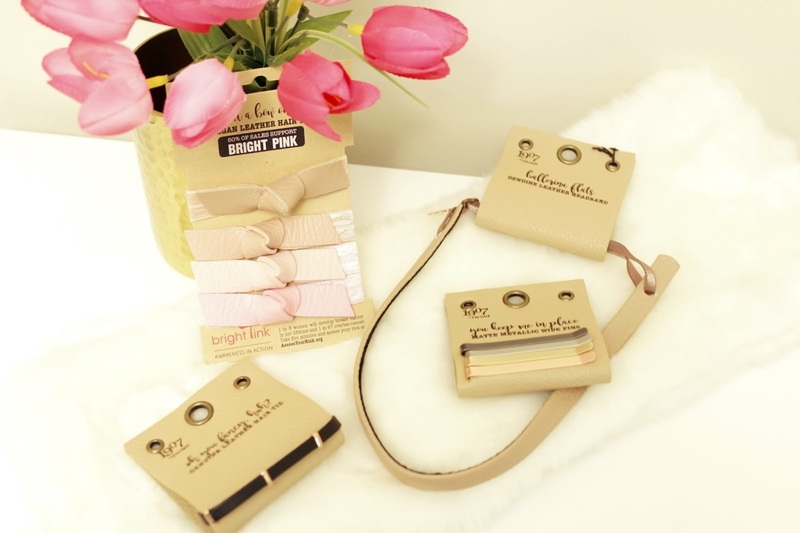 The accessories are very fashionable and they include genuine leather headbands, bow hair-ties and cute bobby pins. I'm always looking for new hairstyles to try on my hair. Today I'm sharing with you guys one of my favorites I haven't don't in a while. It's a super easy updo and this leather headband was the perfect accessory to this look. It's for any hair length but definitely doable for short hair. So, all my short hair girls don't sell yourself short of trying cute hair styles. 1.Separate the hair into two sections in the front. I always prefer a side part but a middle part works as well. 2. Put on the headband underneath the back portion of your hair but on top of the two front parted sections. 3. Start pinning the front sections towards the back covering part of the headband. Use as many bobby pins so it can stay in place. I like to pin mine loosely so the front of the hair drapes down a bit. 4. Pin the back of the hair upwards, again with as many bobby pins needed. This is easier done in multiple sections. Lastly, I like to just take out a few hairs from the back and front to get a messy look. That's just my preference, it gives it a nice undone look I really love. Here are two hair style ideas with these cute Matte Bobby Pins. One great thing about these chic hair accessories they can double up as arm swag. Talk about getting multiple uses for your accessories! Hope you guys enjoyed this post and got some hairspiration. Don't forget these Fromm Beauty hair goodies are available at Ulta Beauty stores and online. Styling the hair is a tough job and it takes hours to create the perfect look. This is the reason that men have all the required products like the hair wax and pomades that can help them out.